At Sentiance, we use machine learning to extract intelligence from smartphone sensor data such as accelerometer, gyroscope and location. We’ve been doing this for quite a while now, and are very proud on our state-of-the-art results regarding sensor based activity detection, map matching, driving behavior, venue mapping and more. The obvious next step is to go from simply detecting what you are doing, to predicting what you will be doing in the future. Knowing your near-term future allows us the explain the intent of your current situation. For example, if we detect you are currently running, and we can predict that you will be on a train followed by a visit to your work location, then we can immediately explain why you are running; you’re obviously not just being sportive today! 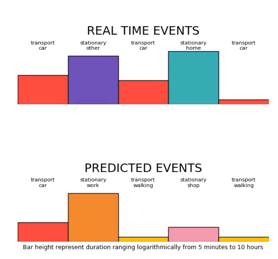 The network is often able to predict events that a human observer would not even think of. This sometimes feels like magic, even for the geekiest of our data scientists – and we all like magic! Our deep learning pipeline actually runs in production for millions of users. We put a lot of effort in making it scalable, reproducible and maintainable. In this article, we discuss a deep-learning based approach to predict events from discrete time-series using LSTMS. 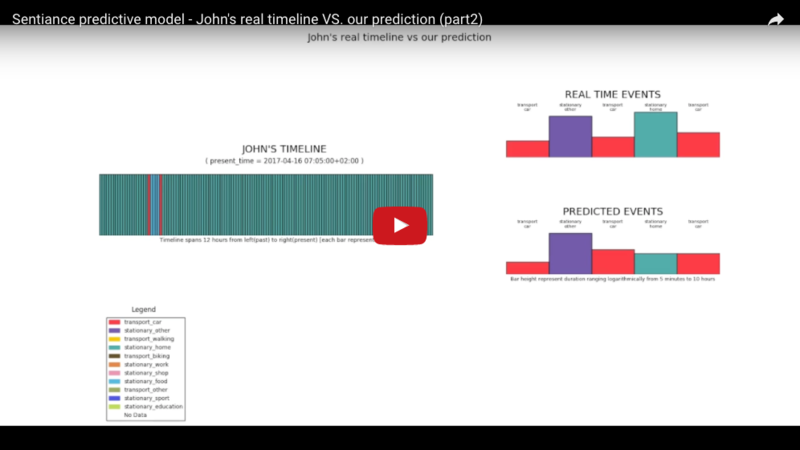 We focussed on long-term predictions. Thank you GOD and Mr. Spruyt. I just found this great website 3 days ago and was bummed out that no posting was made for few years and then there was this post. Please Please Please don’t stop, I am thoroughly enjoying all the posts. I know you have taken great effort for us already and have shared some good pointers for books. Please share some more and open source libraries that you can recommend for us to study. This is a great social service you are doing to those who are interested in this topic and need accessible resources.